This little sweater dress is from last year, but I couldn't wait to pull it out again with the cooler weather. I've worn it before with tights and heeled booties, but this was a fresh way to wear it more casually with leggings, boots and a hat (inspired by Alyson at Sequins & Things)! 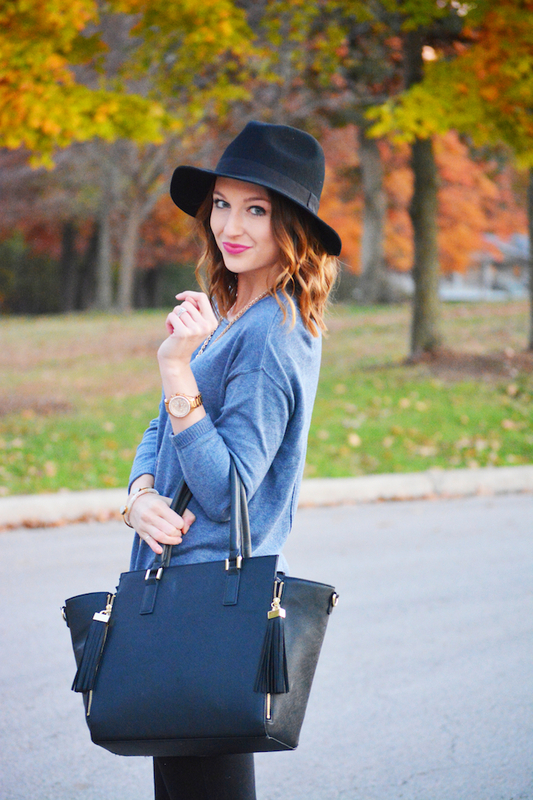 My black hat is a new find from Prima Donna and I'm so excited about it! There were several more expensive black hats that I had on my wish list, so I was so pleased to find this one for such a great price (just $25). Now I'm thinking of adding the burgundy and camel to round out my collection. 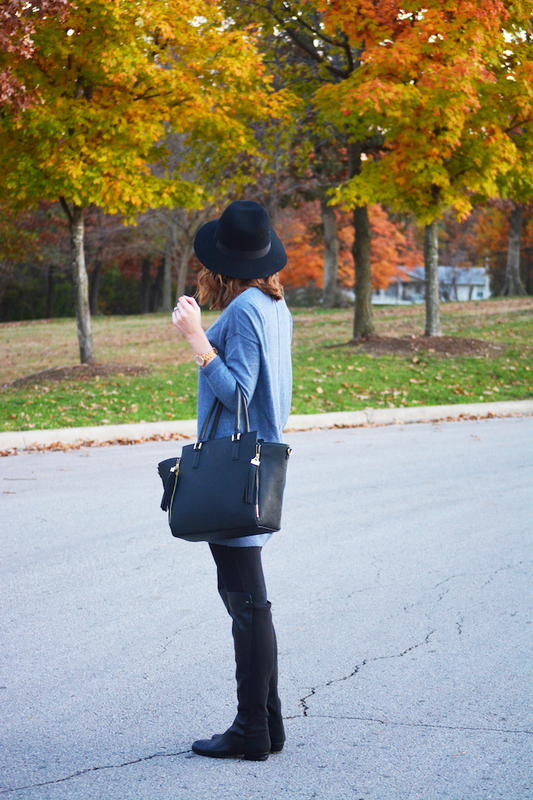 Annnddd, my amazing Vince Camuto boots that I want to wear every single day are 25% off right now at Nordstrom! I'm so happy with them and they look so much like the 50/50's that are out of most of our price ranges. (I've also linked 4 additional similar options below). Beautiful outfit! I love that sweater and your bag. The whole outfit looks effortless and chic.